The Drifter Detective is a brilliant start to a promising new series. Jack Laramie, the eponymous hero, is the grandson of Edward Grainger’s already established western protagonist, US Marshal Cash Laramie. The premise of a WWII vet driving around Texas looking for PI cases while living out of the horse trailer he keeps hitched to his DeSoto just begs to be turned into a television show, and this first entry would make a fantastic pilot thanks to the expert pacing and the lurid shades of Jim Thompson’s hardboiled psychosexual dramas. A lot of writers now try to lay claim to some sort of pulp writer title but few of them understand or deserve it like Garnett Elliott. Elliot, quite simply, writes everything well, steadily producing engaging work in a variety of genres. His fiction is always superbly crafted in terms of prose, plot, and pacing. 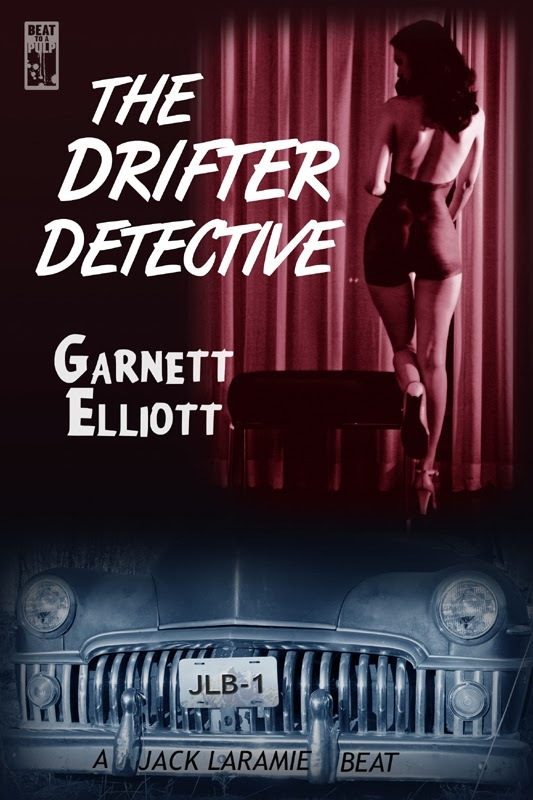 The Drifter Detective is certainly no exception. Honestly, the only flaw in this sharp 7,000 word masterwork is its brevity. Elliot has produced an engaging tale full of such fine characterization I really wanted it to simmer a bit longer before it boiled over. Hopefully, if we're lucky, Jack’s travels will take him back to Clyde, Texas. Until then, I can’t wait to see what hell is up in Houston.